One of the best perks of being a Qlik Luminary is having direct access to Qlik’s product and R&D executives. The annual Luminary Meetup in Lund, Sweden is a good example of that. 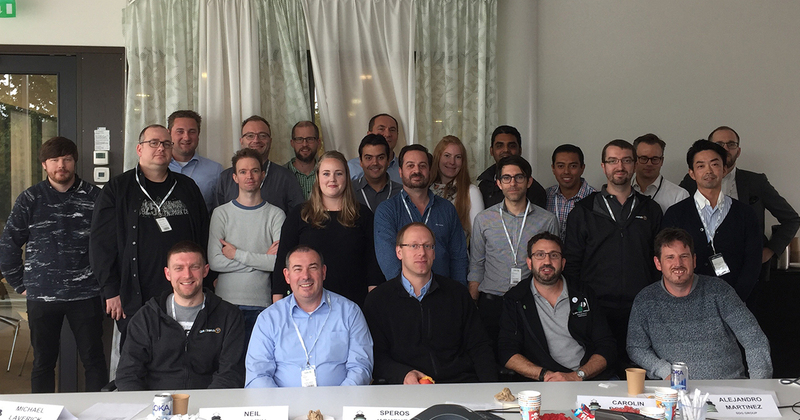 As the home of most of Qlik’s R&D, Lund is a coveted destination for Qlik geeks around the world. As one of the Luminaries called it: it’s his ‘Qecca’! On a chilly September day, we hosted 21 Luminaries from all over the world for meetings with our R&D and Product Management brain trust. Shout out to our guests from Mexico and Japan who traveled the farthest to be there! The office was boiling with excitement leading up to the event knowing some of our most advanced and highly skilled customers, developers, and consultants would soon be roaming the halls. The Luminary Meetup is not just a great opportunity for Luminaries to become more familiar with the inner workings of Qlik, but also for our product teams to get first hand feedback on their work. In a roundtable format, Mike Potter, SVP Global Engineering facilitated an open Q&A during which Luminaries had the opportunity to ask all their burning questions about the R&D organization’s plans and priorities. In true Qlik fashion, it was a very transparent discussion with lots of insightful comments from the attendees which will be incorporated into our strategy. The rest of the meetup proceeded with technical deep-dives around Advanced Analytics Integration, extension certifications, hybrid cloud analytics and self-management, and much more. We also showcased a couple of prototypes, but you will have to become an accredited Qlik Luminary to learn more about those ????. In the evening, we attended the local chapter of the Qlik Dev Group (many of the Luminaries are co-founders, hosts, or recurring speakers) before enjoying a nice dinner downtown. Of course, no Luminary Meetup is complete without a thorough survey of the neighborhood pubs. However, we didn’t let a late night impede the second day agenda which consisted of inside discussions about Qlik Branch, our investments in the developer community, and what’s coming down the road in terms of new visualization capabilities. All in all, we had a great time getting to know our Luminaries better and sharing the latest and greatest innovations with them. Can’t wait to do it all again next year!